THE CHRISTMAS COUNT DOWN HAS STARTED! Time to get wrapping & sticking & enveloppe licking, hosting, toasting & turkey roasting, baking, dishing & mistletoe kissing… and then some! Because as much as I LOOOOVE the festive season, there’s just SO MUCH to do before Christmas Day! Decorate the tree, wrap the presents, fill the stockings… the list goes on and on and managing to get it all done is often a challenge. Unless of course you turn the whole thing on its head and into Christmas Bingo cards! Because what’s more satisfying than popping golden stars onto a beautifully festive card and shout BINGO! once you complete a vertical, horizontal or diagonal line? Nothing. Exactly. I pre-filled them with festive chores & treats and left some polka-dotted spots empty for you to fill with your own Christmas traditions. Save the image above, print a bunch of Christmas Bingo cards and share them at home, at work, between friends… After all, there’s no gift like the gift of festive productivity (plus this one is free!). …so get gold-star-sticking and don’t forget to shout BINGO! (and maybe treat yourself to a couple of chocolate truffles) as soon as you have marked five consecutive squares on your card! Tomorrow is December! How crazy is that? I have literally no idea how this ever happen, but it means it’s Advent Calendar time again! If you haven’t made one for yourself / your partner / your kids yet, here is a bit of inspiration for your crafty evening tonight! Simplicity is key for last minute projects and this tree-shaped pile of presents just looks stunning! You can’t really go wrong with black and white, can you? Especially when there’s a printable included! Along the same lines, how cute would this forest of sleek paper trees look in your flat? Or what about a box of 24 chocolate truffles in colourful coatings? Definitely a treat for the chocolate lovers in your life! And if you’re definitely running too late for any other crafty project, you can still trim Santa’s beard! Do you have an Advent Calendar? Do you buy it or DIY? It seems all of my friends have their birthday in August, so lately, my room has looked more like Santa’s workshop than a place dedicated to sleep and relaxation (and eating pizza in bed). I love a well-wrapped present; it makes me almost as happy as the present itself, so I’ve spent a lot of time playing with ribbons and boxes, and searching on Pinterest for creative ideas to wrap mine. Here are some of my current favourites. 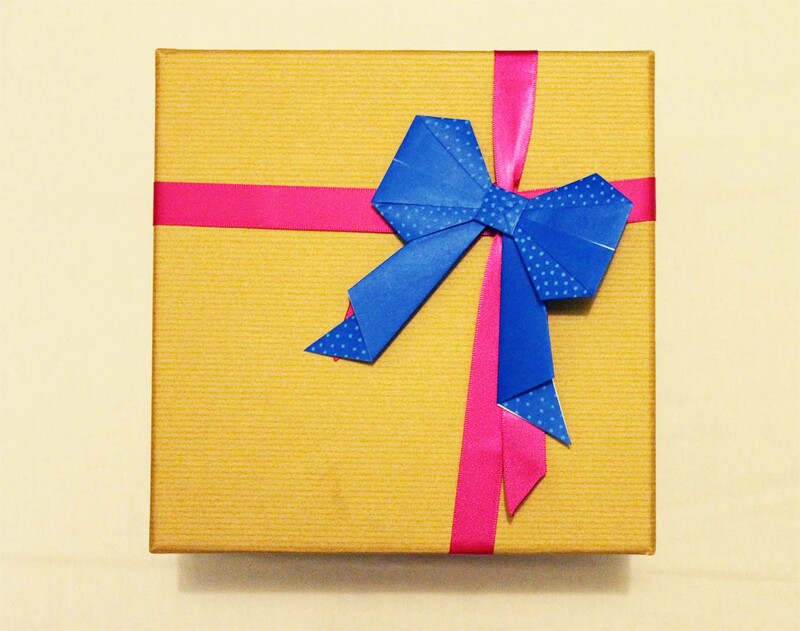 Idea #1: Sassy card + Ribbon bow My love for pretty stationary is no secret and this might well be my new favourite way of wrapping presents. Also, before we begin, can we take a second to appreciate how great this card is? 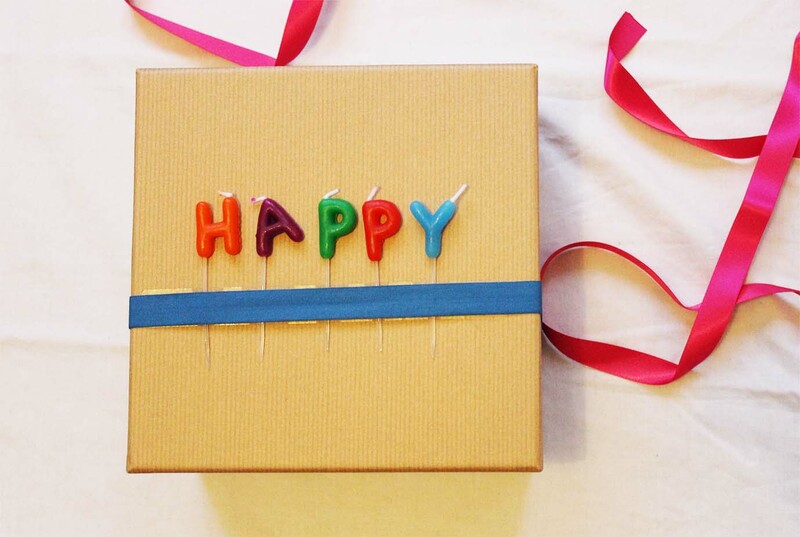 #BestBirthdayPlanEver You’ll need: a box (I got this one from Paperchase), a card (this brilliant little number comes from Oliver Bonas), ribbon (about 2-2.5m), some clear cellotape, scissors and a lighter. 1. Place your card on the box and secure with some clear cellotape. 2. Cut the ends of your ribbon at an angle and burn them slightly with the lighter to prevent unravelling. Idea #2: Birthday candles and bow Birthday candles are a birthday celebration must-have… So why not put them on the presents as well? 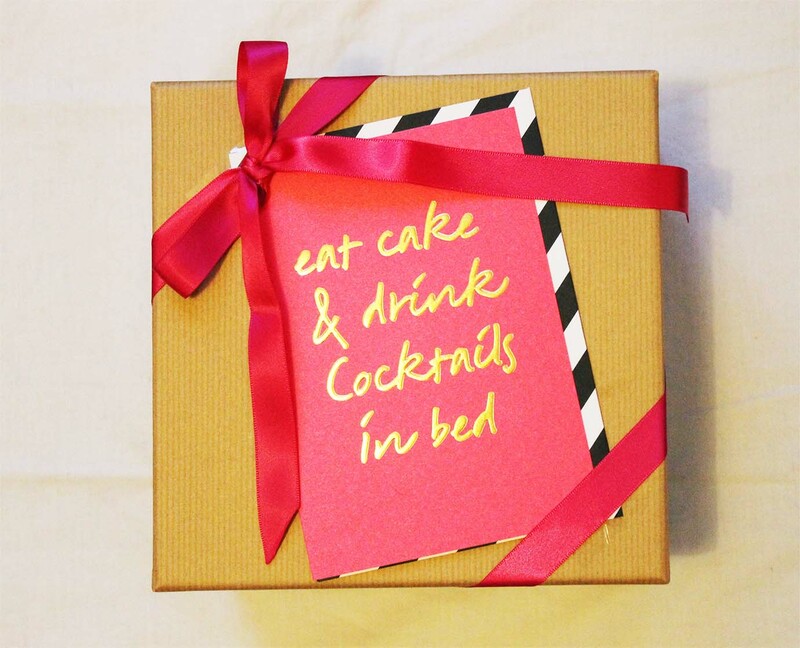 You’ll need: A box, some birthday candles (I got those letter ones from Paperchase but I reckon regular candles would look cute too! ), some ribbon (the one I used came with the box!) and some clear cellotape. 1. Place your candles on the box. 2. Secure with cellotape. 3. Add your ribbon on top of the tape. This one will require a tiny bit more patience as you’ll need to fold an origami bow, but it’s definitely worth the effort as it’ll give your present a look of simple sophitication your girlfriends will love. 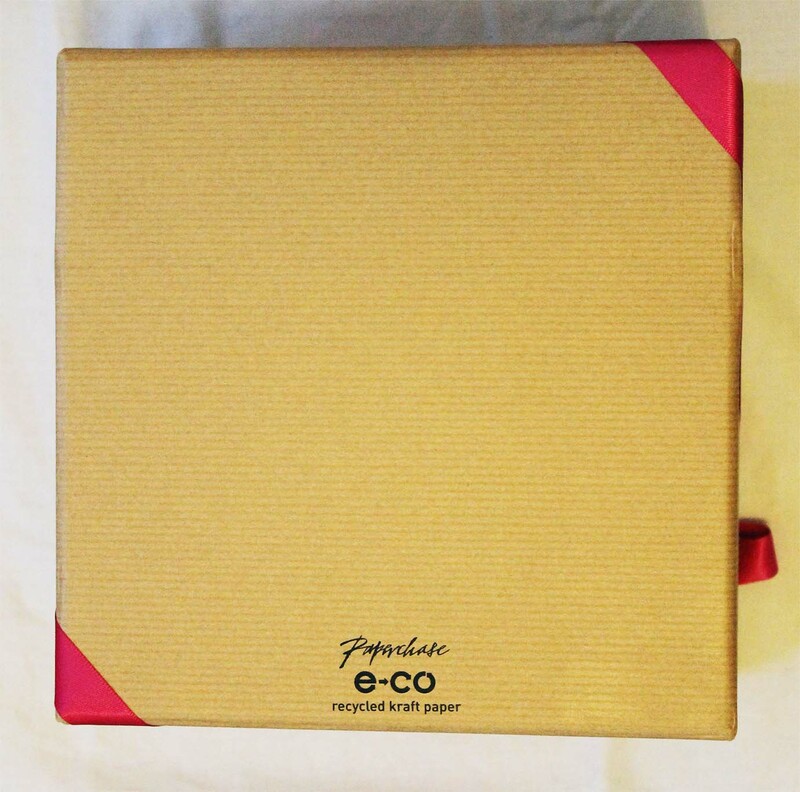 You’ll need: a box, ribbon (about 2m), 1 sheet of origami paper, double-sided tape, scissors and a lighter. 1. Cut the ends of your ribbon at an angle and burn them slightly with the lighter to prevent unravelling. 2. Fold an origami bow according to the instructions provided here. 3. Wrap the box with the ribbon. 4. Secure the origami bow with a bit of double-sided tape. Do you like to wrap presents or is it one of your Nemesis and you’d rather have it done by someone else?